Exceptional cuvée with elegant aromatic complexity. GEOGRAPHICAL LOCATION : In the heart of Graves, on one of the region’s characteristic gravelly hillocks, the vineyard is planted on a south-east facing slope, looking out over the undulating landscape of Sauternes and the Entre-deux-Mers. TERROIR : Clay-limestone and gravel. 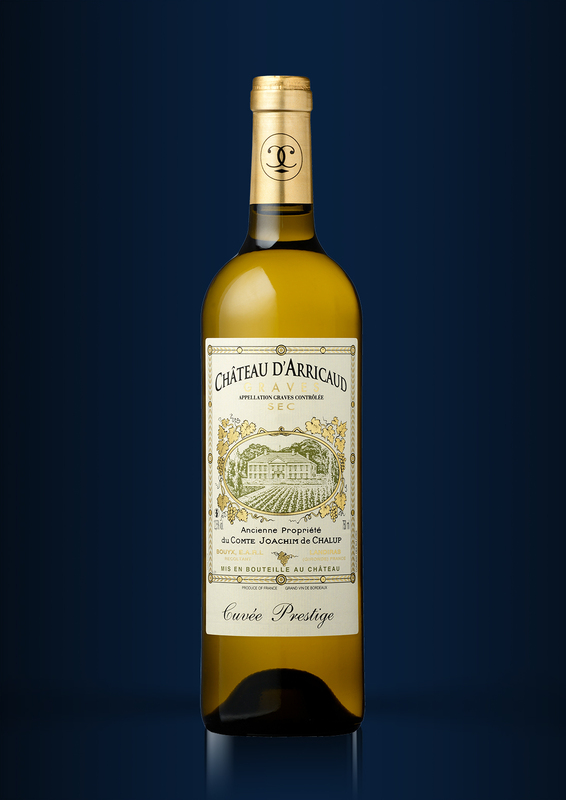 GRAPE VARIETIES : Sémillon 80%. Sauvignon 10%. Muscadelle 10%. AVERAGE AGE OF VINES : 40 years. PLANTING DENSITY : 5,500 vines per hectare. GROWING METHODS : Bordeaux “à côt” short pruning and single Guyot. Ploughing and controlled grassing. Partial removal of leaves, depending on the plot. HARVEST : Each manual and mechanical harvest, with sorting of the grapes in the vineyard, is subject to strict selection at the Château. VINIFICATION : Direct, gentle pressing. Holding and cold settling. Fermentation in French oak barrels. MATURING : Maturing on fine lees for 9 months. PACKAGING : Cardboard boxes of 12 horizontal “export” bottles. Cardboard boxes of 6 horizontal bottles. TASTING NOTE : Powerful, fruity nose with citrus notes and a hint of wood and vanilla. Lots of volume on the palate, good length with lingering flavours. FOOD AND WINE PAIRING : Aperitif, fish and shellfish. Poultry and goat’s cheese. Open in advance. AGEING POTENTIAL : 10 years.